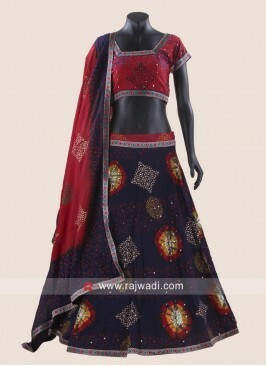 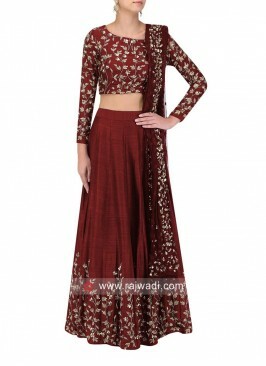 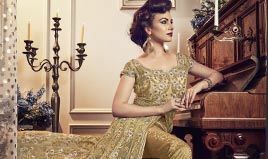 Everyone will admire you when you wear this lovely Silk and Brocade Lehenga Choli. 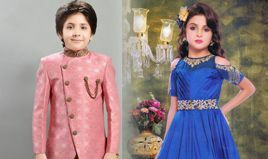 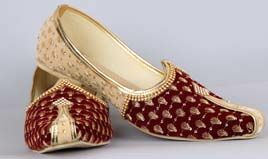 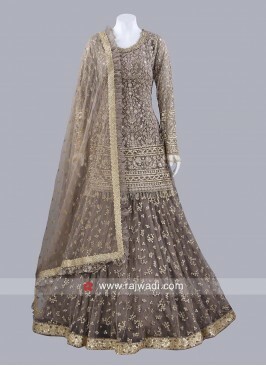 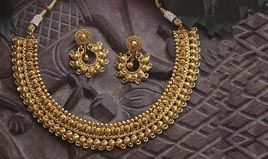 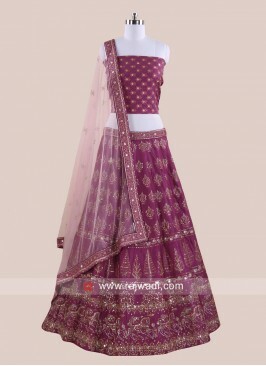 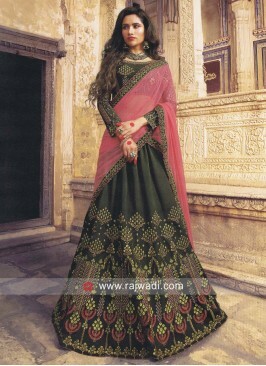 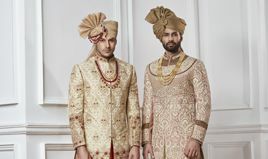 It features embroidery work and designer dupatta. 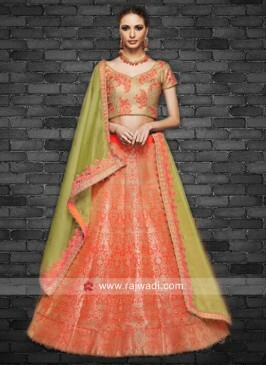 Paired with Satin fabric dupatta adorned with embroidery lace border.